The approximately 6,700-acre Yuba Goldfields, located along the south side of the Yuba River at the northeastern end of Reclamation District No. 784 (RD 784) in Yuba County, California, is a unique site with a tremendous history of mining. Through research and technical evaluations, the team including MBK Engineers and ENGEO developed a safe and stable 100-year embankment that could be constructed from the local dredge tailings. The dredge tailings are typically a granular mixture of cobble, gravel, sand, and some fines. By reshaping the tailings, a very low cost linear feature was constructed to form a barrier for 100-year flood protection. 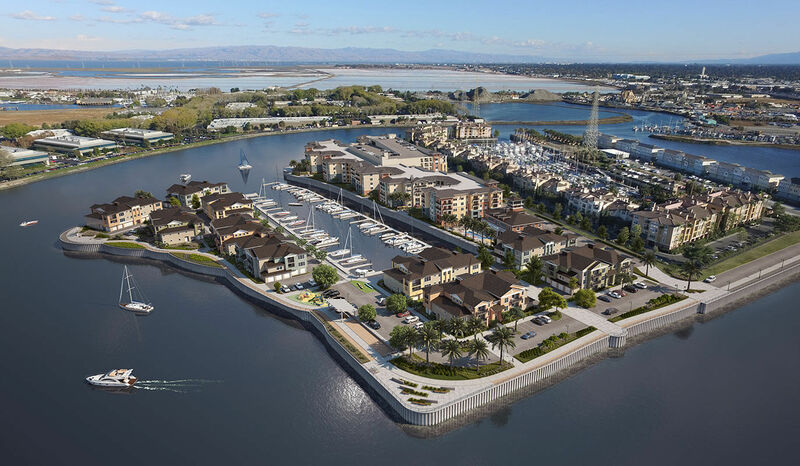 The 12.5-acre Blu Harbor residential development is located in Redwood City. Surrounded by water on three sides, this former private marina lies in a seismically active region of California. ENGEO utilised a deep soil mixing (DSM) technology brought from Japan to the US and designed a stabilisation system for the high-density waterfront development. Waterfront stabilisation was necessary to protect proposed structures and improvements from seismically induced lateral deformation. ENGEO contributed on three award-winning projects associated with the repurposing of the former Marine Corps Air Station El Toro military base, located in central-western Orange County, California. 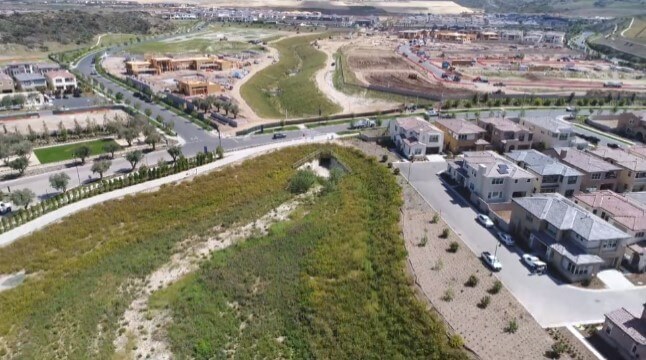 The Agua Chinon Corridor was designed to incorporate flood conveyance, natural open-space, environmental restoration, and passive recreational uses. 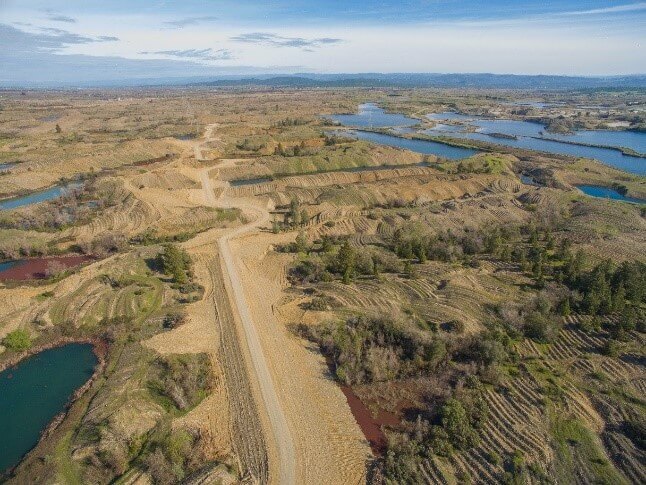 Designed to function as a natural drainage channel that can handle 100-year flood events, the Agua Chinon Corridor also provides a beautiful riparian corridor and trail system to enhance the 3,580-acre community. 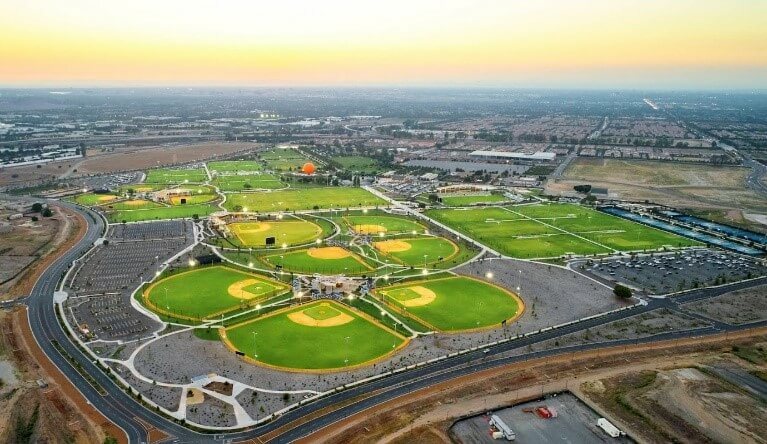 Encompassing 194 acres, the Orange County Great Park Sports Complex is the largest park of its kind west of the Mississippi. Covering an area three times the size of Disneyland, it features professional/world level facilities for soccer and tennis, and accommodates year-round club sport tournaments. The Sports Park is a welcome facility for local families that used to drive long distances to other facilities in Los Angeles, Riverside and San Diego County. Altair Irvine master planned community includes 840 luxury homes. Planning, design, and construction for the ten Altair tracts and associated infrastructure first required careful demolition of former military housing and infrastructure. Project design had to accommodate construction of the northern portion of the Agua Chinon Corridor that passes through the center of the project. Coordination with neighboring entities, such as the Federal Bureau of Investigation and the Irvine Unified School District, was also essential to the project success. 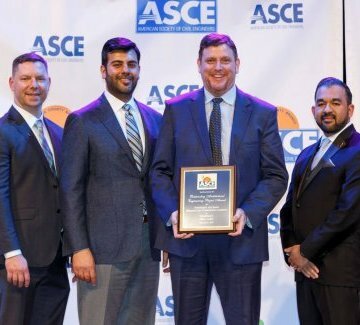 The 2018 ASCE Orange County Branch awards were presented on February 21st, in Anaheim, California. The 2018 ASCE Region 9 awards will be presented on March 29th in San Diego, California.